Match the cat pictured on your card to one on the gameboard, then place your chip there. When you have 5 chips in a row, it’s a SEQUENCE. Each card also gives an interesting fact about its cat. 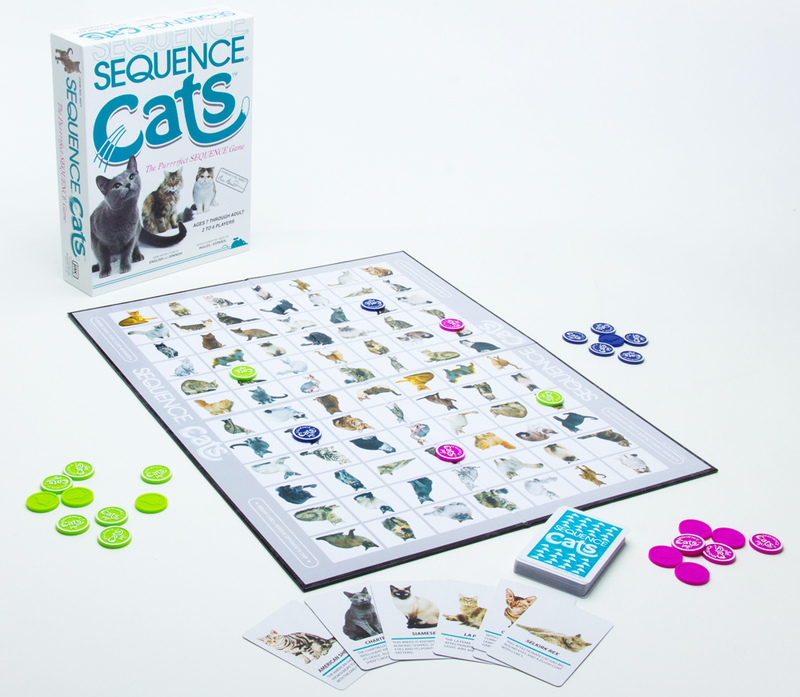 It’s the Purrrrfect SEQUENCE game for cat lovers everywhere!